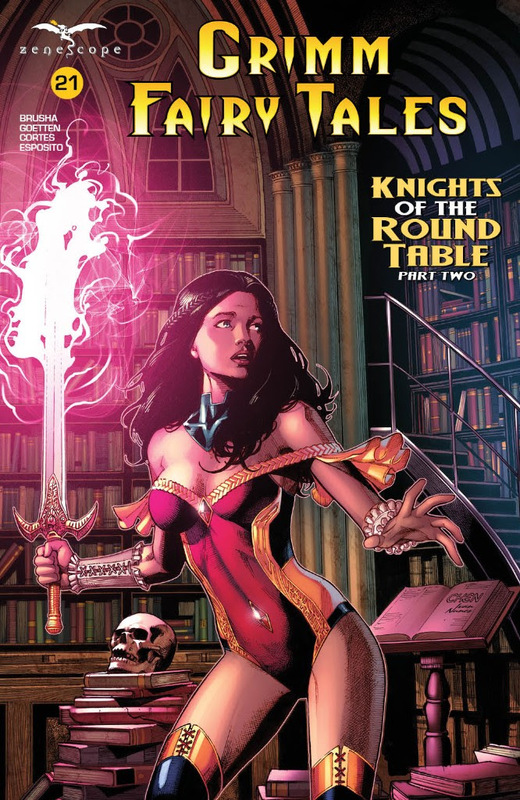 The Black Knight is a new series from Zenescope Entertainment – here are my thoughts on that and the latest issue of Grimm Fairy Tales! 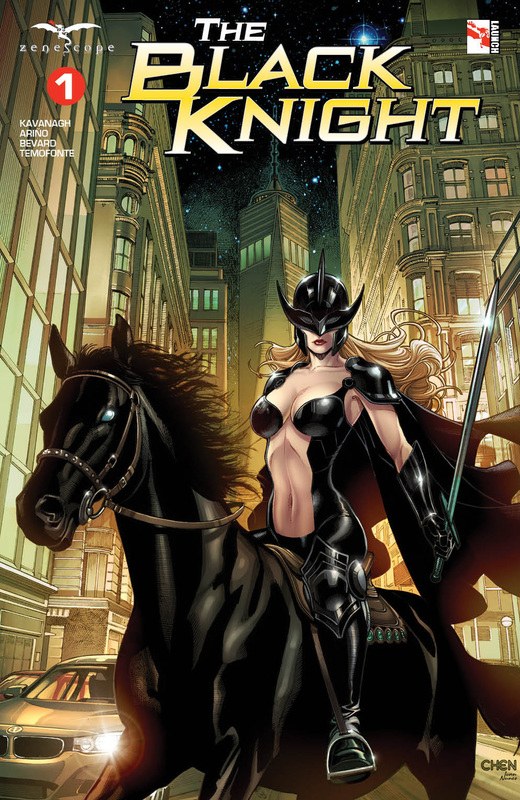 A new 5-part mini series, linking the adventures of The Black Knight and in Grimm Fairy Tales. This was a hot opening. I liked the way it was all set up. The action starts off with The Black Knight and pulls us into the action well. We then get some interesting flashbacks that bring us up to speed. The mixture of the defense attorney and the mystical Black Knight is very well done. Mixing bullets and swords really well. The gangs look to be a problem, especially as they are bringing their own superpowered muscle to the events. The Black Knight is only one person, so I can see this being problematic! This was a good introduction to a character who doesn’t need or have too much backstory yet, so we can dive right in! Stories of Camelot have been told on earth for ages. The Legend of King Arthur and Excalibur had long been considered nothing more than a fairy tale by most historians. But Camelot was once a real place and now the tales behind the legend will finally be revealed…and the truth of its history is much more a nightmare than a fairy tale. The second part of the Knights of the Round Table and things are still ramping up with the threat level. Merlin seems to have all of his ducks in a row and is intent on making Camelot the most powerful realm and him at the head. Meanwhile Skye is having trouble of her own, with Zodiac looking to take her out. They both have some tricks and it looks like Skye and co have the upper hand, but there is a further twist. The Black Knight and Puck have their own battles to face, and once they get past that the race is on – they’ve found a barrier to their escape, but the other knights are on their trail! This was a good issue, building up the arc and the threat level well. I’m looking forward to where this goes next!